Our organization is engaged in offering an all encompassing range of Door Handle. The provided door handle is designed by using quality approved material under the supervision of skilled professionals. This door handle can be provided in several customized options as per market preferences. 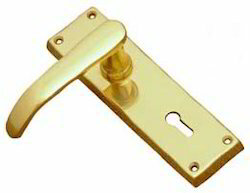 Offered door handle is available with us in different finishes as per the requirements of clients.